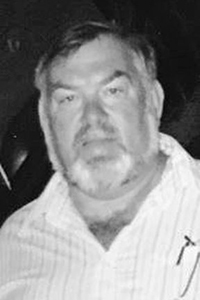 Obituary: Keith M. Nazaroff Sr.
LEWISTON – Keith M. Nazaroff Sr., 67, of Minot passed away on Saturday, April 13, 2019 at Central Maine Medical Center with his loving family by his side. He was born in Portland on Feb. 20, 1952, the son of Albert Nazaroff. He attended Minot schools and graduated from Edward Little High School in Auburn. Keith married Gisela Strout on March 13, 1971. He was employed by Mt. Appetite and then Handy True Value as an oil truck driver for many years before becoming the owner of Andy Valley Oil in the 1990s. He was a member of SAM, NRA, snowmobile clubs, River Rats supper club, Howling Moose club and Downeast Street Rods. He was a Lifetime Harley Owner’s Group Member and long time UBM Member. He was an avid outdoorsman. He loved spending time at his camp on Moosehead Lake, entertaining family and friends, which he always documented in his camp register. Whether he was catching fish, driving snowmobiles, motorcycles, fast cars or taking pictures, he lived life to its fullest and on his terms. He loved to travel with his beloved “Gig” (Gisela). They had many excursions and adventures throughout the United States and Europe, as they enjoyed their 48 years of marriage. He always had stories to tell, especially about his grandsons, Michael and Alexander. They were always his favorites and brought a shine to his eyes and a smile to his face. He loved music and you would often see him start to dance or sing at any given moment. Keith is survived by his wife, Gisela of Minot; his son, Keith M. Jr. of Minot and his companion, Lisa Gagne of Greene; grandsons, Michael and Alexander and his companion, Audrey Jumper; three nephews, Donald, Steve and Greg Nazaroff; two great-nephews, Ulysses and Scott; his sister-in-law, Mary Boyd and her husband, Donald of Mechanic Falls; nephew, Scott Boyd and his wife, Katie and their children, Avery and Sawyer Boyd; as well as many other sisters-in-law and brothers-in-law, nieces and nephews. He was predeceased by a daughter, Melissa in 1989; and brothers, Donald and Jack. Family and friends may attend visitation on Saturday, April 20, from 2 p.m. to 5 p.m. at Chandler Funeral Home, 26 W. Dwinal St., Mechanic Falls. Interment will be at Gracelawn Memorial Park in Auburn later in the spring. Obituary: Herman F. Brown Jr.